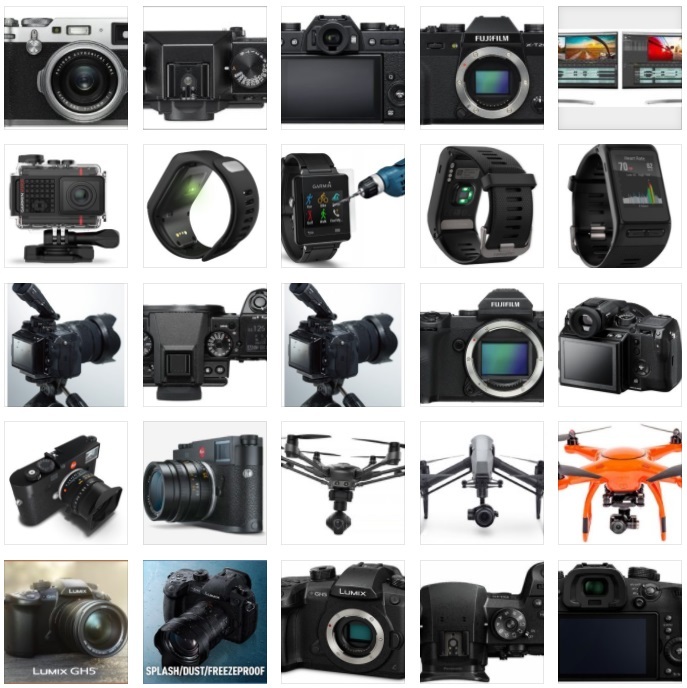 How to improve your Skills? 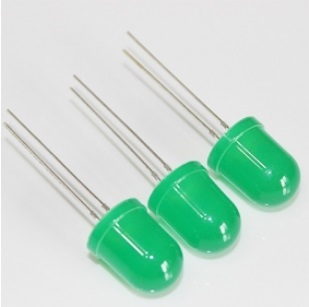 In the previous part, we have described the little part of LED devices. Now, we will continue again with them. By their color, shape, size and by their manner of montage. 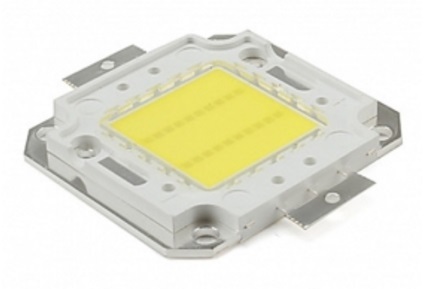 The LEDs can be with a rectangular shape, with a circular or oval shape, with different sizes and diameters. 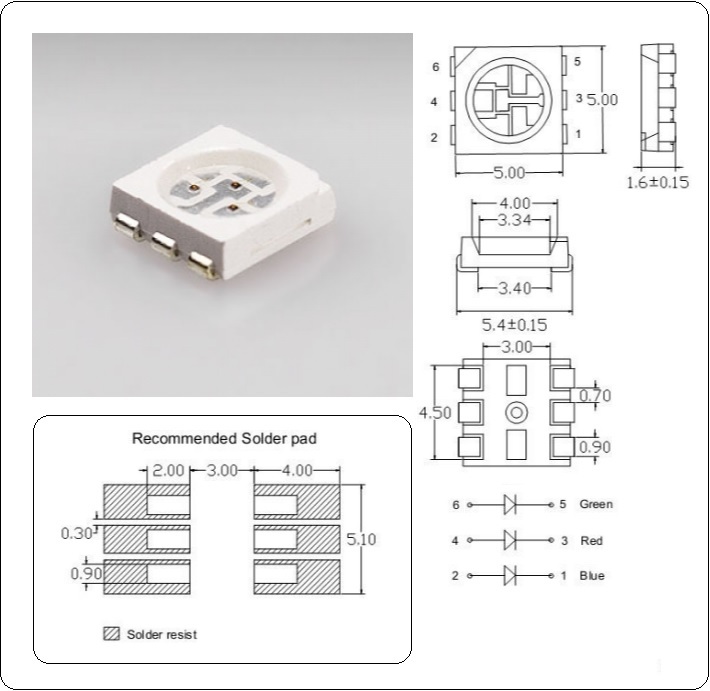 By manner of montage, they divided on trough hole (with leads – pass through the PCB [Printed Circuit Board] ) and SMT ( leadless- Surface Montage Technology) LED devices. When combining two or three P-N junctions with “the different GaAs saturation of the semiconductor” we get the dual or full color (RGB) LED. 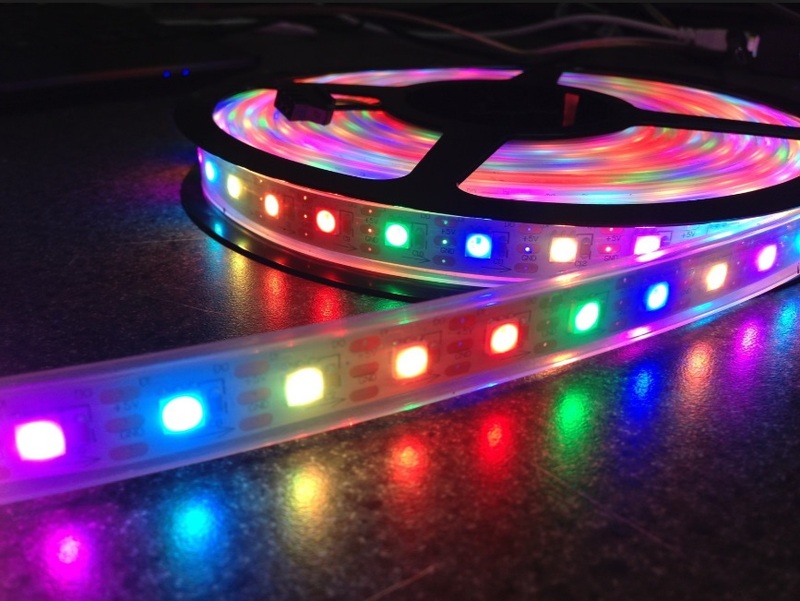 On the picture below you can see the one popular LED member of the ” RGB division “, wide applied into the LED strip applications: RGB-5050. 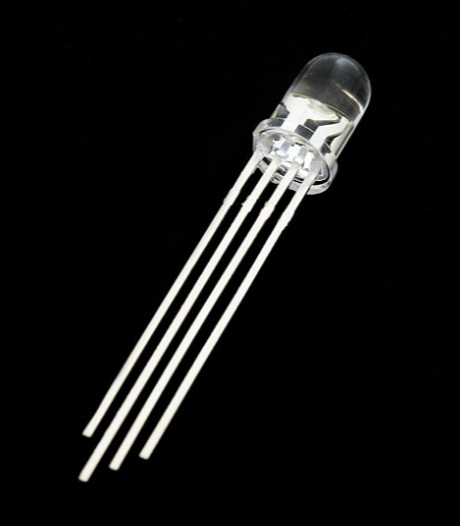 Now, we extend our point of view, and will talk about the LED typical applications. Namely, the LED strips. 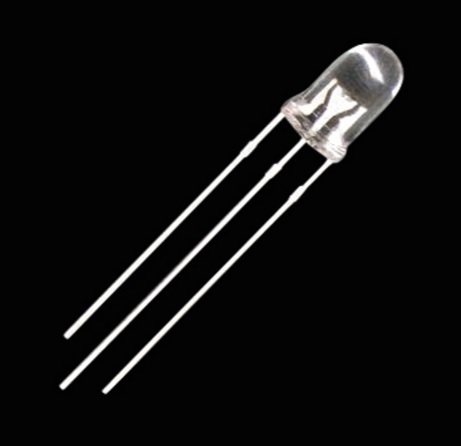 Used LED devices are leadless -or SMT using devices. 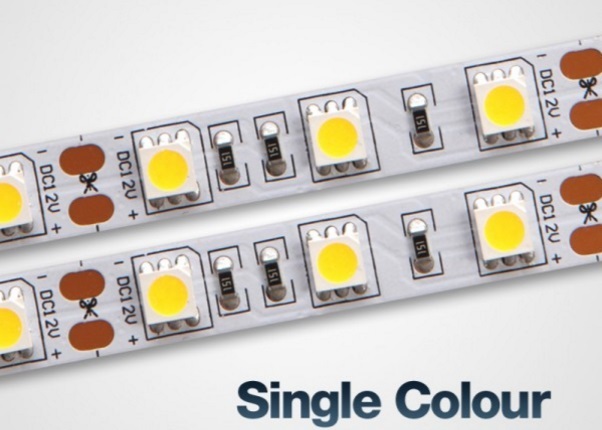 These PCBs can incorporate a single color or a multiple color SMD-LEDs. 30, 60, 120 pcs. per meter. 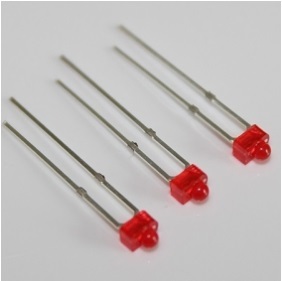 SMD5730 – size: 5.7 mm x 3.0 mm. 4.) Powering DC Voltage or Powering AC Voltage. 5.) Maximal Power Consumption – the power dissipated on 1-Meter sized tape or strip. There are many variants: 4 Watts, 4.8 Watts , 12.2 Watts , 14.4 Watts , etc. As we mentioned in the text above, the Tape or Strip is thin and flexible PCB. Let insert the described SMD LEDS on the desk, and see the PCBoard. On the picture below, when we look the details, we can see the manufacturer show us a line, with the scissors. Let We explain: That means the user could cut with the scissors trough this imaginary line, and will get the fully functional piece (Module) of the tape, again working on the same as the label signed working voltage. Generally, the LED’s module pieces are with 5 cm granularity. 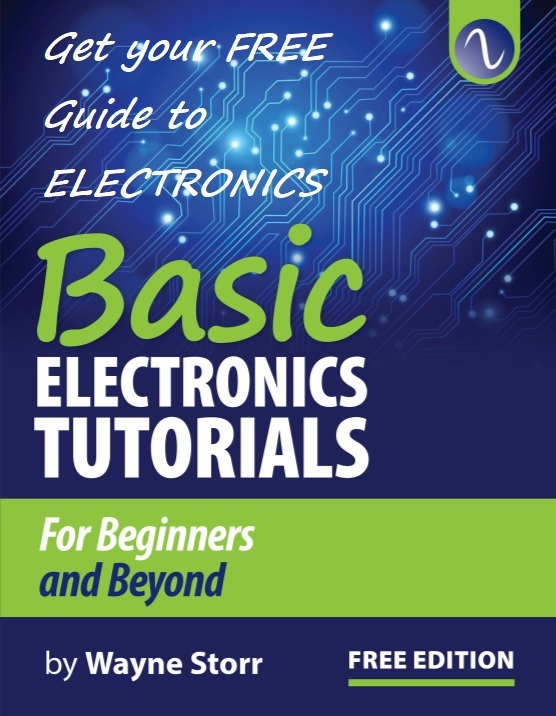 Magister Grade HW Engineer IT Computer Systems ____________________________________________________________ Spheres of Interest: Science, New Technologies, Electronics, Hi-RES Digital Players, High Fidelity Audio Design, Renewable Power Sources, Consulting, Advertising, SEO ____________________________________________________________ The author creates web content for Hardware-Pro.com since 2016.